10 PERFECT CHRISTMAS GIFTS FOR PHOTOGRAPHERS | Marc G.C. A few days ago, a friend of mine asked for my help to find the perfect gift for his photographer boyfriend. I was happy to help, and after our talk, I was inspired to write this short article on 10 perfect Christmas gifts on the wish list of any photography enthusiast. A good tripod is a necessary piece in any photographer’s kit. There are many on the market, but choosing a good one is important. When I first started with photography, I bought a cheap one and round it was not reliable at all. After a few uses it was ready to be replaced! So, which tripod will make the best gift? Well, I recommend the one I have been using for a long time—the Manfrotto 190XPROB. It is a professional aluminum tripod, sturdy, yet light so it can be carried for long walks, and is ideal for use in almost any situation. One of the biggest advantages of this tripod, however, is that you can position the center column so it is completely horizontal. The same tripod is available in carbon fiber; obviously it is more expensive, but it is also lighter! 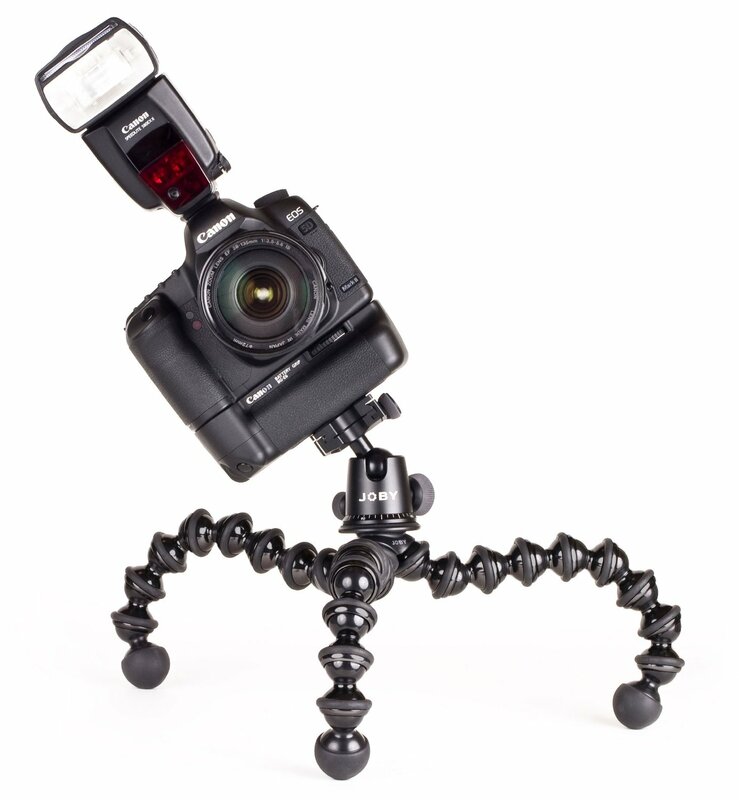 The GorillaPod is an amazing gadget; it works like a tripod but with its flexible legs, it can support your camera in virtually any position. It is able to cling to available objects such as furniture, tree branches, fences, and so on. However, its multifunctional legs can also be used like a conventional tripod. This tripod is also perfect if you have to go on a trip and you have to travel light. It is smaller and lighter than a conventional tripod. It has a strange look, but it is very resilient. I bought my first one a few years ago and after intensive use, I still love it. I purchased a new one, not because it was broken but because I forgot it in a rental car. So if you do gift one to a loved one, remind them just how small and light it is! A photographer is always short on memory cards, especially on long trips and when downloading your photos and videos to your computer. Before buying a memory card, it is important to remember that size is not all that matters. A good memory card must have high-speed performance and the reliability of any other kind of professional equipment. Personally, the brands I trust are SanDisk and Lexar. In fact, I only use memory cards from these two brands. Memory Cases can be also a nice gift—they are not expensive, but they are priceless. Having your memories well protected is as important as taking good photos. A reflector is the most basic light modifying tool in the photographer’s kit. A reflector bounces natural or artificial light and using this simple trick to manipulate the light can make a huge difference in your photos. They are available in different sizes, colors, and shapes, but the most common and versatile ones are the typical five in one with a rounded shape. They are relatively cheap and can be an excellent gift for an enthusiast. Photographers use UV Filters to protect their lenses all the time. These filters are attached in front of the lens and protect it from scratches and other incidents. They are much cheaper than buying a new lens to replace a scratched one and a photographer will always be happy to have a spare one on hand. One piece of advice—before buying at UV filter, be sure to know the diameter of the lens it will be used with to ensure it fits correctly. A polarizing filter is often placed in front of the camera lens in order to darken skies, manage reflections, or suppress glare from reflective surfaces such as lakes or the ocean. It can be a great asset for landscape photographers! The most common one is the circular polarizer because it can be easily attached to the lens. Just remember that they are available in different diameters for different lenses. Extension tubes are great and cheap gadgets to introduce a photographer into the world of the close-ups and macro photography. Normally, you will have to buy a dedicated lens, which would cost you at least $400, but you can purchase extension tubes for less than $20. 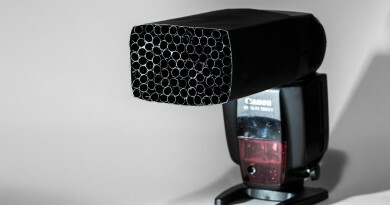 The extension tubes are placed between the camera body and the lens. There are two types available: 1) the least expensive type does not maintain the electrical connection between the lens and camera body, which is not good because you lose control of the lens aperture; and 2) the more expensive type, capable of maintaining communication between camera and lens, allowing you to use the autofocus and automatic exposure functions of your camera. I have tried both of them and recommend the second ones. As always, be careful to buy the right equipment for your camera brand. Having your camera in good condition is important and you need the best tools available. When you are shooting in the field, you always need to be prepared to remove the dust and grime that comes from shooting in the real world. I never got to a shoot without my lens cleaning tissue papers, my air blower, and some cleaning cloths. You can find many cleaning kits on the market and as a photographer, this is the kind of gift you always appreciate. 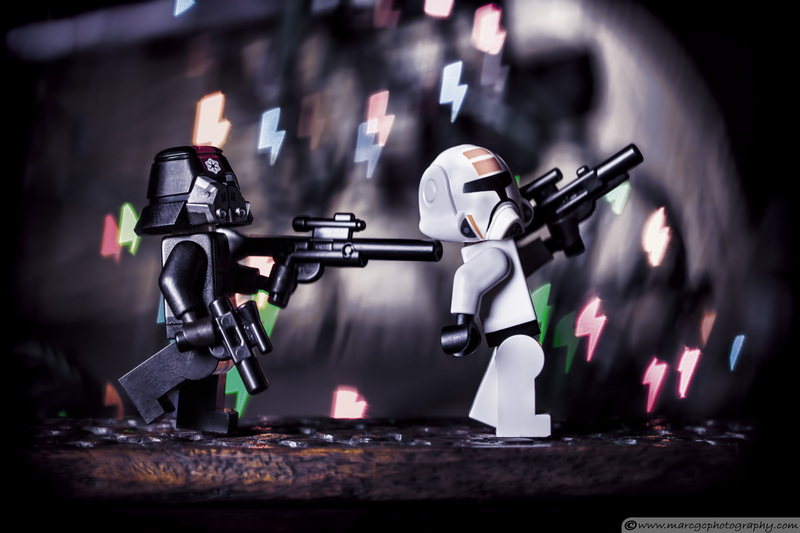 Bokeh is a new style in photography. It is taken from the Japanese word meaning ‘blur’ or ‘haze’ and it refers to the aesthetic quality of blur in photographs. 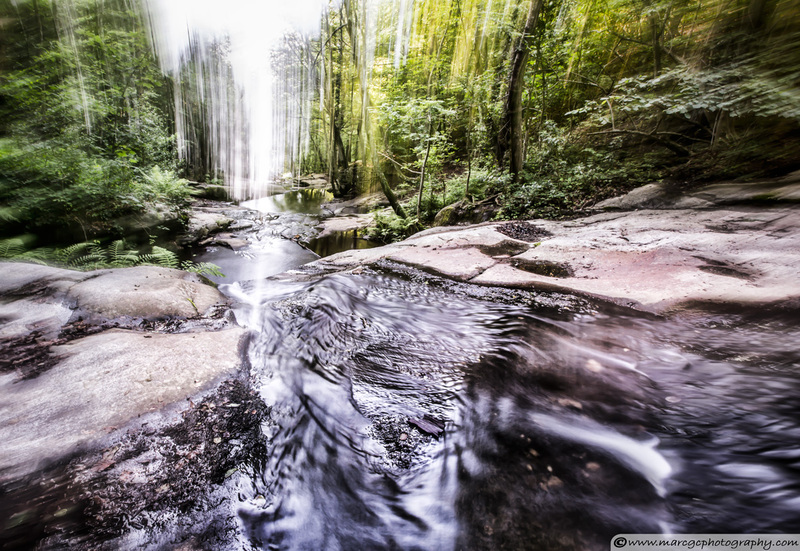 Recently, it has become a very popular and creates a desirable effect on your photos. The bokeh kit I propose is ideal to begin experimenting with and would delight any photography fan. This international bestseller provides photographers with a comprehensive theory of the nature and principles of light to allow individual photographers to use lighting to express their own creativity. It will show you how to light the most difficult subjects such as surfaces, metal, glass, liquids, extremes (black-on-black and white-on-white), and people. Design is the single most important factor in creating a successful photograph. The ability to see the potential for a strong picture and then organize the graphic elements into an effective, compelling composition has always been one of the key skills in making photographs.The book explores all the traditional approaches to composition and design, but crucially, it also addresses the new digital technique of shooting. “The Moment it Clicks,” is 256 pages of wall-to-wall photos, lighting and photography tips, techniques and war stories from a world-class shooter. And that’s not even what makes it so special. Light is the greatest tool at the disposal of portrait photographers. In this book Christopher Grey walks you through portrait lighting from start to finish, teaching you how to control light more effectively so you can create portraits that are more flattering, more creative and more marketable. In this first-ever showcase of his work, Gregory Heisler, one of professional photography’s most respected practitioners, shares 50 iconic portraits of celebrities, athletes, and world leaders, along with fascinating, thoughtful, often humorous stories about how the images were made. This list was built based on how much a photographer would need and use the item, rather than price; I focused on selecting the best gifts for your friends and colleagues. However, I think you will be able to find a good gift, regardless of your budget. If you have any questions, just let me know I will be happy to answer them!